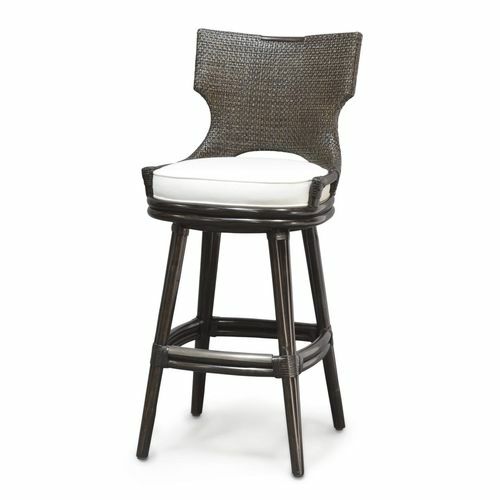 Pole rattan frame and legs accented with a antique brass finish footrest on f ont stretcher and leather bindings. Seat features a 360 degree swivel mechanism. 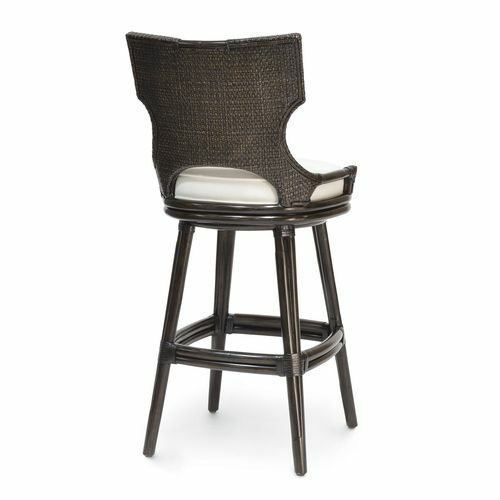 Stools come with a double wall back woven in a rattan peel in an espresso finish and a fixed upholstered seat.